The Santa Barbara International Film Festival, January 27 – February 6, will open the 2011 Festival with the film Sarah’s Key. Already receiving critical acclaim across the world, the French film will make its U.S. premiere at the Santa Barbara Festival’s opening night event. The film stars Kristin Scott Thomas and is directed by Gilles Paquet-Brenner, both of whom are scheduled to be in attendance. Opening night will take place at the Arlington Theatre on Thursday, January 27, 2011. Based on the international bestselling novel by Tatiana de Rosnay, the film beautifully interweaves two seemingly different stories, illustrating a remarkable connection between the past and present. The first story is that of Sarah Starzynski (Mélusine Mayance), a ten-year-old Jewish girl living in Paris during World War II. After the Vichy government and Nazi occupiers begin arresting Jews, Sarah attempts to save her family by locking her four-year old brother in a cupboard. Seen through her eyes, Sarah and her parents are taken from their home and eventually sent to the Nazi death camps. The second story follows Julia Jarmond (Kristin Scott Thomas), an American journalist living in modern day Paris with her French husband. Julia is assigned to write a story on the Vel’d’Hiv roundup of 1942, and upon investigation discovers she has a personal connection. The home owned by her husband’s family is actually the same one that Sarah and her family were taken from. 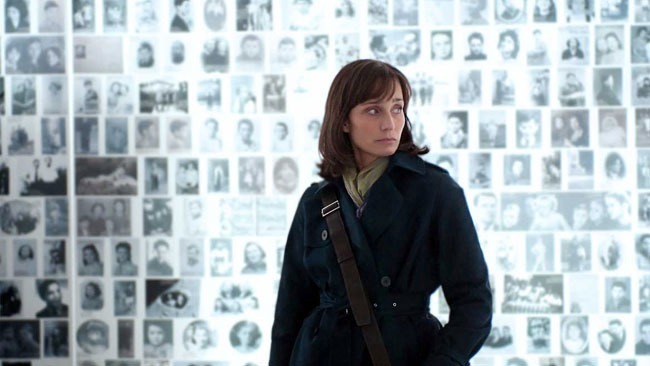 The film takes an emotional look into a historical event long hidden, but now sure to never be forgotten. Sarah’s Key, due to open late Spring, 2011, is a Hugo Production of a Weinstein Company and directed by Gilles Paquet-Brenner, produced by Stepháne Marsil. The festivities will take place at the Arlington Theatre on Thursday, January 27, 2011. Tickets for the Opening Night Film and Gala are available now and can be purchased online or by calling 805-963-0023. Mini-Paks for the festival are currently discounted at 20%, while Festival Passes and Packages are currently discounted at 15% and on sale exclusively at SBIFF and 805-963-0023. The Santa Barbara International Film Festival, presented by lynda.com, is set to run January 27 – February 6, 2011. Now in its 26th year, SBIFF is a non-profit organization dedicated to enriching local culture and raising consciousness of film as an art form and continues to be an essential stop on the road to the Oscars. SBIFF presents quality American Independent, Spanish and Latin American, European, World and Documentary cinema, as well as nature and surf films, all within the beautiful setting of downtown Santa Barbara, a perfect backdrop and premier tourist destination. SBIFF is also committed to education through its 10-10-10 youth filmmakers project, Field Trip to the Movies, and educational seminars. With a projected audience of over 70,000 viewing more than 200 films over its eleven-day run, SBIFF attracts an eclectic and diverse consumer base, both locally and nationally, while maintaining strong ties with the entertainment industry in nearby Los Angeles.